If you want your Etsy business to become a business, treat it as one from the very start: brand yourself, network in places you enjoy spending your time on, and always keep learning and growing in all directions. First, as I have said before, if you want your Etsy business to become a business, treat it as one from the very start: brand yourself, network in places you enjoy spending your time on, and always keep learning and growing in all directions. When I first started I felt really overwhelmed by all the plethora of things I seemed to need to already know. It’s true there is so much information, which is great but can be overwhelming. So my advice on this is, keep a wish list of things you want to learn about or ways you want to expand and then tackle the those things that work FOR YOU and pour yourself into them. Eliminate the ones that don’t work and revisit them later. If you see a great article on how to get more backlinks to your blog or Etsy shop, but you feel like it’s all written in greek, bookmark it and come back to it later and maybe it will make more sense down the road. Put your energy into the things that make you grow and feel successful; not things that make you feel stumped and unsure. Those things you don’t understand right away may make a whole lot more sense later. Trust me, there’s still a lot of things I “revisit” and decide I’ll go ahead and revisit them again later. And on the flip-side, something like SEO’s that completely boggled my mind to begin with, suddenly became very clear to me and I was able to move forward and apply that information to my business. Measure your success by your own standards! Don’t compare yourself with the top Etsy sellers or your friends or your friends of friends. Measure your success by YOUR accomplishments. Keeping confidence in yourself is key, so please don’t disregard your own accomplishments. They all count and they all add up. And while you are at it be proud of yourself! Try not to get discouraged! Ok, I know it’s easier said than done. It happens to me and I am sure it happens to those people with 4000 sales under their one of a kind Etsy belts. There will always be sales slumps and at times these can be really alarming. Honestly, I don’t often understand it. Of course when you have done something that has brought more traffic to your shop such as being a guest writer to a popular blog, have a feature or have some other marketing exposure, you may see a spike in your sales, but other than that it doesn’t always make sense. (Using Etsy shop stats or Google analytics to take “notes” can be helpful over the year(s) to help you identify trends so you can be prepared for more or less business.) I will often have four sales in two weeks and then I will get four sales in two hours, and I honestly didn’t do anything differently and the world seems to be spinning at the same rate too. It’s just the nature of the beast. I have learned that rather than throwing a pity party for myself when times are slow, or panicking and start wondering if Etsy made my shop invisible; I take that time to get creative and work on the business ends of things. I work on new designs, make inventory, work on learning about new networking techniques, and so on and so forth. And just between us, I still worry during those dry spells, but I use that worry to move forward. I have learned to look at sale slumps as opportunities to take a stand back and look at my shop and get busy on my to-do and to-grow list. Believe in your product and what you sale/know your target customers. What does that mean? Well, I didn’t know until I actually started selling my products and making connections with my costumers. I knew I liked fabric and textiles. I liked embroidery. I knew I liked things that were sentimental. I knew I liked making pillows. But what I found is that I loved the sentiment behind my embroidered pillows because, lo and behold that’s what my customers loved about them too! 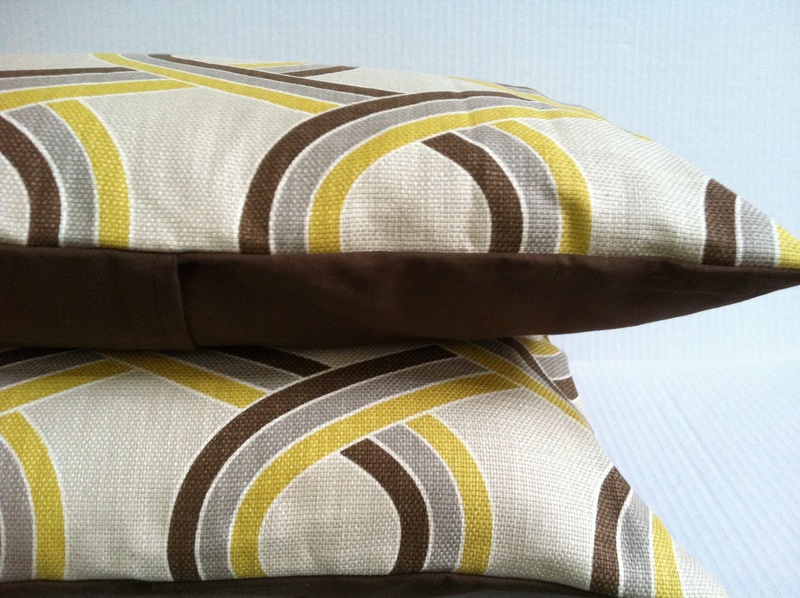 So once I started making my pillows with my customers in mind, my connection to my products expanded exponentially. At that point I realized, hey, that’s my niche! And, like me, that might not be really clear from the get-go, but if you have a connection to what you make this will show itself in no time at all. And, also like me, you will probably have your customers to thank. Another example of this is my fabric pillows, what I loved about making pillows from fabulous fabrics is that they are an affordable way to decorate, so with that I keep my fabric pillows affordable for others that want to spruce up their space without a huge investment. Ultimately, quickly on, I found what I liked about making my product already had a target customer and now with that I use it as a guide in coming up with new products and designs. Speaking of customers…Sit tight, this will be longest one…Always make customer service your number one priority (assuming making a great product is already in the bag). Treat your customers wonderfully. This can translate to giving them quick efficient service or sending a few emails back and forth. You just kind of have to gauge each customer as an individual and give them the service that seems to suit them best. If your customers engage you, engage them back! Many of my orders are custom which usually ends up building little relationships. And what I have found from this is that I love engaging my customers and hearing the story behind their purchases. This has given my work a whole galaxy-worth of meaning. My pillows haven’t changed since I first started making them and now, but the energy with which I work has. My business puts food on my table, but I never view my customers purchase as money in my bank account. Of course it adds up so I am able to support myself, but each order is an order for a person, it is going in their home or as a gift to someone that they are saying “you mean something to me,” with, so with that it’s important that that is the essence of interaction with them and is reflected in your product as well. My customers mean something to me, their purchase means something to me. The interaction between me and my customers has truly enriched my life and keeps me totally motivated to be better, learn more and come up with new designs. I think this approach makes such a world of difference. I know it has for me and because of it I have the most supportive customer base. Truly. It is so, so, so true that word of mouth is the biggest marketing tool. I have many return customers and many referrals. I have customers that check in with me to see how things are going or to tell me they “pinned” my items to pinterest, wrote a blog post about my pillows, or told a friend about my shop. I even have customers who let me know that a friend they referred loved their pillow. So, in a nut shell, from my experience this is my advice would be: have excellent customer service, engage your customer, take them on your journey with you (because they are a huge apart of it), take pride in what you do …and your customers will gladly share in that pride and this will be reflected in your success. Great story! Thanks for sharing and congrats!!!! Wonderful story! What you mention is so true in both Etsy and when one is selling at art shows. Especially like your point of measuring your success against yourself and not others. Makes a BIG difference! I’m looking forward to my 200 sale. My goal was 100 the first year (made it in 15 months) and now upped to 200 by the end of this year. Let’s see if I can do it! Congrats! I reached the coveted 100 milestone a few months ago. It was such a blessing! I think that I could have written this because all are exactly what I espouse as well. Making connections, pride in your work, finding your niche, going the extra mile… that is what makes Etsy a wonderful place to shop and to sell. Thank you for this insightful article. I am off to check out your darling textiles! Enjoy the day! Congratulations!!! you remind me of how happy I was when I hit my 100th sale.. a dear friend even gave me a gift to celebrate! haha.. and yes, do celebrate your achieving this milestone!!! Great story. I always believe & love what I do but have a long way to go for 100 sale. Your story was so helpful! I loved your question, “Has Etsy made my shop invisible?”! I feel like that sometimes! I’ve just begun the Etsy journey, but I too will celebrate my 100th sale (I’m trying to be very optimistic here!). Congratulations to you! Thanks so much for this article. Needed the encouragement today. It’s been a year and a few months for me on Etsy and I haven’t even reached 50 sales yet, but your calm attitude and reminder to not compare yourself to others is what I needed today. Thanks again. Thanks so much for sharing. I loved the attitude that came with your advice – not a cold businesswoman but a warm-hearted crafter that found her niche. I too wish I get there one day. Today I craft and sew just for myself and friends, and enthusiastically blog about it. 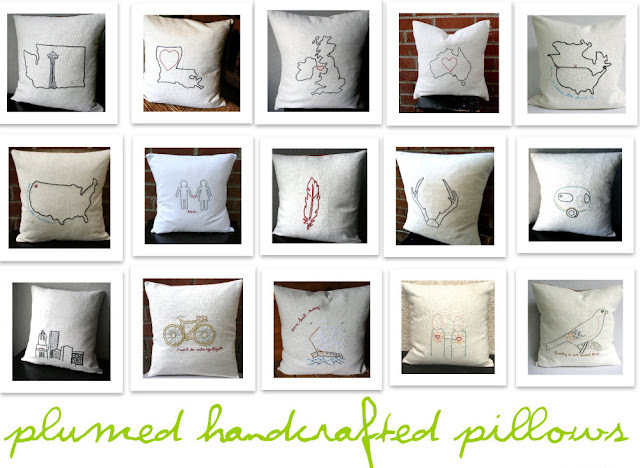 I need to find an area that I would like to focus on (like you have your pillows) before I open a shop at etsy. Otherwise I’ll make bits and pieces of whatever because I love making so many things. I also feel I need to learn more about streamlining and efficiency, about making my blog and future brand more professional and recognizable, and about reaching more people who truly care and love my work and gain something from it. I’m not there yet but I hope to be soon. Very inspiring and good advice! Thank you for reminding me not to get discouraged, and to keep going! Great article and beautiful work! I just marked your Etsy site as a Favorite. Will keep you in mind for a future mention on my web site. Cheers!